Wes Jackson—sitting there four rows back— has said to Courtney White—sitting over there—that “We live in the most important moment in history.” I will leave it to Wes and Courtney later on in the day to explain that comment in greater detail. But it is in this spirit that I am going to open up this morning’s discussion by placing Aldo Leopold’s legacy in the large context of conservation history. And I’m going to start actually with an allusion to a place where my friend Peter Brown (on this side of the room!) has been working with his colleagues at McGill University in Montreal: the Cree village of Wemindji, along the east shore of Hudson Bay in Quebec. I open with this because there’s a nice connection here. When Leopold was a student here at Yale, he would return during his summers to the Midwest and to a vacation cottage that the family had in the Les Cheneaux Islands at the north end of Lake Huron. There he nurtured for many years a great dream: to take a long canoe trip from the Great Lakes up through the Soo and eventually to Hudson Bay. This was going to be his great wilderness experience. But he never did it. It always remained just a dream in his mind. But many decades later Aldo Leopold did in a sense arrive on the shore of James Bay. In 2006 Peter helped organize a project meeting at Wemindji, and invited me along to speak about “Leopold’s Land Ethics: Stories of Wisconsin.” I have often used this as an example–and I could use many—of Aldo Leopold’s legacy growing and evolving through connections that continue to be made across geographic, cultural, and disciplinary boundaries. This February we had something of a “pre-union” of many of the people here today in Albuquerque, New Mexico. Several of us here were also involved in that gathering. Of course, after Leopold graduated from Yale he went on to take his first job with the U.S. Forest Service in the Southwest, and so our colleagues in that region are celebrating Leopold’s arrival there in this centennial year as well. They kicked things off in February with a conference designed to consider the diverse cultural roots and expressions of the land ethic in the Southwest. And so, the discussion of Leopold’s legacy at that meeting and in all the events this year provides an important opportunity to explore the continuing evolution of the land ethic as a vital idea. With all this in mind, let me try in just a few minutes to put the morning’s discussion into a very broad context. I’m going to use a simple Venn diagram that I often use to frame the large story of environmental history. When I am asked if there is a single book that one should read to learn the entire story of conservation and environmental thinking, I always have to answer that such a book does not yet exist. To tell that story, one would need to know and integrate multiple fields of knowledge, and vast realms of detail within them. It’s a large and complex task, and no one has yet taken it on. Lately I’ve used this diagram to frame and explain the challenge. I find this useful mostly for myself. Maybe you’ll find it useful, too. We have many exemplary books and scholarly articles that examine various aspects of the history of the conservation science. (I use the term conservation here. You can plug in your preferred term—environmental science, or perhaps sustainability science.) There’s obviously a history to the science, and the many fields of science involved. We can list some of many scientific disciplines relevant to conservation, each with their own rich intellectual history. And we could enjoy many long lectures and books on each of these. We have quite an expansive bookshelf of material available on the history of various dimensions of conservation science, and our understanding continues to evolve. But conservation is not a matter of science alone. Conservation science intersects with conservation practice—the application of that knowledge. In the realm of conservation practice, we can identify many particular activities and techniques and technologies—everything from historic reforestation efforts through things like predator control (so important, of course, to Leopold’s story), from hydraulic engineering to the advent of GIS. These practices have their own rich history. 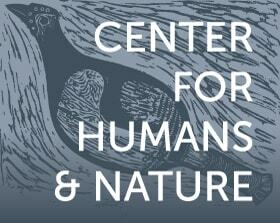 Likewise, there is a rich and intersecting history of the development of conservation ethics and philosophy. These humanistic dimensions of conservation would again include a variety of fields, from literature to theology to environmental history and environmental ethics. And finally, there is the realm of conservation policy. Within the policy arena we might include such endeavors as wildlife law, ecological economics, and land use policy, all of which, again, have their own rich history. We are of course fortunate to have available many critical scholarly contributions that provide us with narratives of the developments in conservation science, practice, philosophy, and policy. But what is most interesting—and difficult—in grasping the large story of conservation history is how all of these realms interact in complex and dynamic ways. To write the ultimate comprehensive text in conservation history, one would need to examine all the complex feedback loops at work here. For example, a new advance in science may suggest a new ethical insight, which inspires a new practice on the ground, which might require a change in policy, which might in turn lead to a new ethical insight. Change in conservation ricochets around and around and around as history advances. And, of course, all of this occurs within a complex and ever-changing social and cultural context. And beyond this is the world itself, the ever-changing natural world that includes all of the above. Leopold for me has been such a rich and continuing source of insight and inspiration because he worked within all these realms. And one can track him bouncing around these circles, always in a critical and creative manner. That is what I have always found so amazing in Leopold’s life story. It provides a unique transect across the history of twentieth century conservation science, policy, philosophy, and practice. Understanding that story has helped me, at least, to get a better handle on where we are and where we’re going.